Rhabdomyolysis. 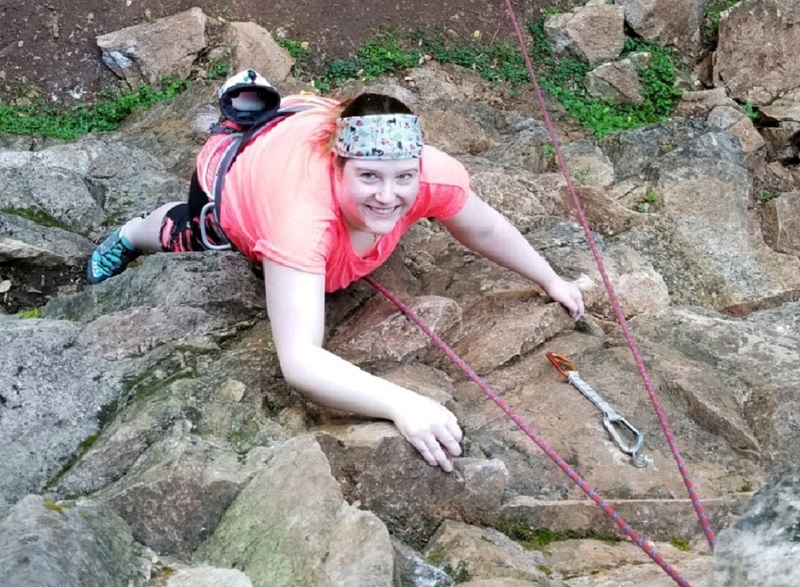 Not since nursing school had Nicole Burton heard that word, the medical name for a mysterious – and potentially fatal – muscle-wasting syndrome. That is until last October, when the 30-year-old registered nurse learned it was why she was in a hospital bed wracked with pain and acute kidney failure and unable to walk or even scratch her nose. Burton was an emotional wreck as muscles throughout her body disintegrated and were absorbed into the bloodstream, effectively shutting down her kidneys. But through time, tears, dialysis and rehabilitation at Patricia Neal Rehabilitation Center inside Fort Sanders Regional Medical Center, she literally “came out on top” after a very rocky climb. She was still on dialysis, could not walk or feed herself, and had to be lifted to a standing position and turned to be put in a chair. Two days later, she was up and moving with a walker. Six days later, Burton left PNRC on a cane and was able to do everything except raise her hands higher than her face. Her recovery would continue with another month of dialysis and outpatient therapy. Burton’s recovery was a tough climb – literally. “Before I got sick, one of my other co-workers had been bugging me for the longest time about going rock climbing with her. I was like, ‘You are crazy!’ I could never do that!” said Burton, a certified operating room and surgery nurse educator at Methodist Medical Center in Oak Ridge. Patricia Neal Rehabilitation Center is accredited by the Commission on Accreditation of Rehabilitation Facilities, an independent, nonprofit accreditor of health and human services. Learn more about PNRC at www.patneal.org.